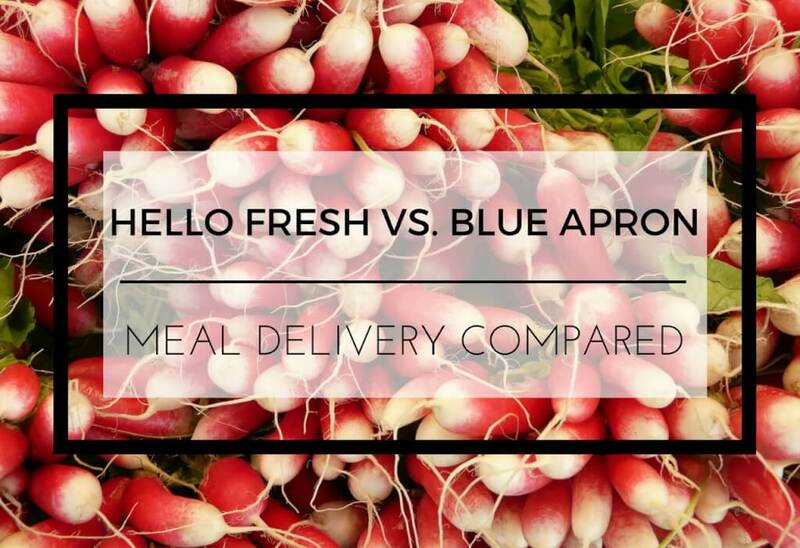 Hello Fresh and Blue Apron are two of the biggest names in the meal delivery space, but which one has the superior service? Read our comparison, then order and decide for yourself! Meal delivery services are changing the way that busy professionals eat, cook, and interact with their kitchens. By delivering fresh, healthy, pre-portioned ingredients directly to people’s homes, these services are making it easy to create culinary masterpieces from the comfort of your home. Let’s take a closer look at two of the most popular companies in the industry, Hello Fresh and Blue Apron, and see what factors help them succeed. If you listen to podcasts on the NPR or WNYC networks, you’ve certainly heard advertisements for Blue Apron before. Arguably the most well-known meal delivery company in the market, Blue Apron is also renowned for the quality of its ingredients, the affordability of its product lines, and the mini-industry that has flourished around it. Blue Apron offers a two-person plan that costs $9.99 per meal or $59.94 per meal cycle (6 meals), and a family plan that costs $8.74 per meal, or $69.92 for a family of four. Each meal cycle lasts a week, and subscribers can choose their meals from a six-meal menu that rotates weekly. Blue Apron strives to build a menu around seasonal ingredients. The Blue Apron web interface is sophisticated, offering members cooking tutorials, helpful tips to spice up individual meals, and explanations of the interplays among ingredients that help make the meal so delicious. Shopping in the Blue Apron marketplace is also an excellent way for beginner cooks to beef up their collections of kitchen accessories. Overall, Blue Apron is a relatively affordable service that makes a serious effort to teach home cooks to “catch their own fish”, as the proverb goes. Although this second meal delivery service has slightly less name recognition, it has separated itself from the pack in recent years and emerged as Blue Apron’s chief rival. By focusing on sustainable sourcing, a wide array of menu options, and responsible caloric intake, Berlin-based Hello Fresh has carved out a niche for itself among healthy eaters. The meal plan setup is essentially identical to that of Blue Apron, with one important difference. The “Classic” two-person plan and the family plan share price points with Blue Apron, but Hello Fresh adds a vegetarian plan option at the same price composed solely of plant-based recipes. Hello Fresh has also recently supplemented its western European and American footholds by expanding into Canada, delighting healthy eaters north of the border. There is no clear victor between these two young companies. Although Blue Apron arguably gives its subscribers more for their money with plentiful online content and exclusive access to an e-store stocked with useful cookware, Hello Fresh holds its own by offering a wider variety of options for vegetarians and eaters with food allergies. The meal delivery market wars are far from over, but both Blue Apron and Hello Fresh have excellent footholds in North America. If you really can’t decide, sign up for one and then sign up for the other a month later. Both services have free and easy cancellation policies, and cooks know better than anyone else — the proof is in the pudding!